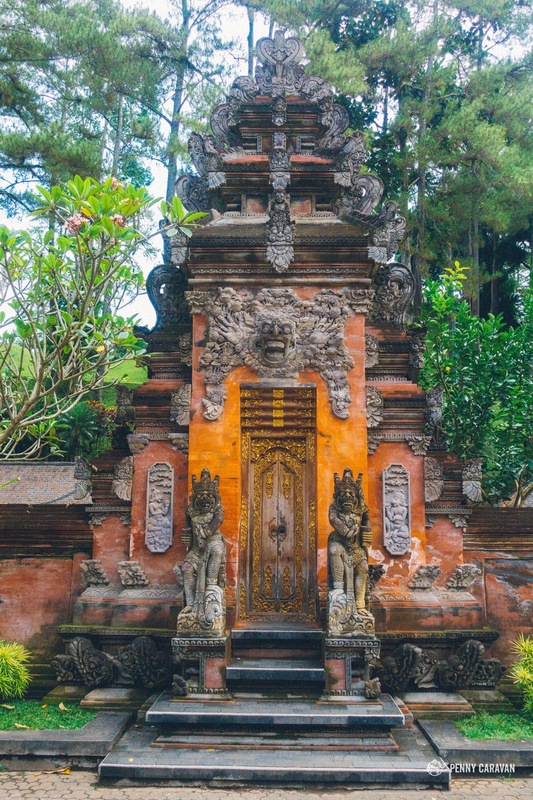 Bali, Island of the Gods; also known as the island of a thousand puras (temples). 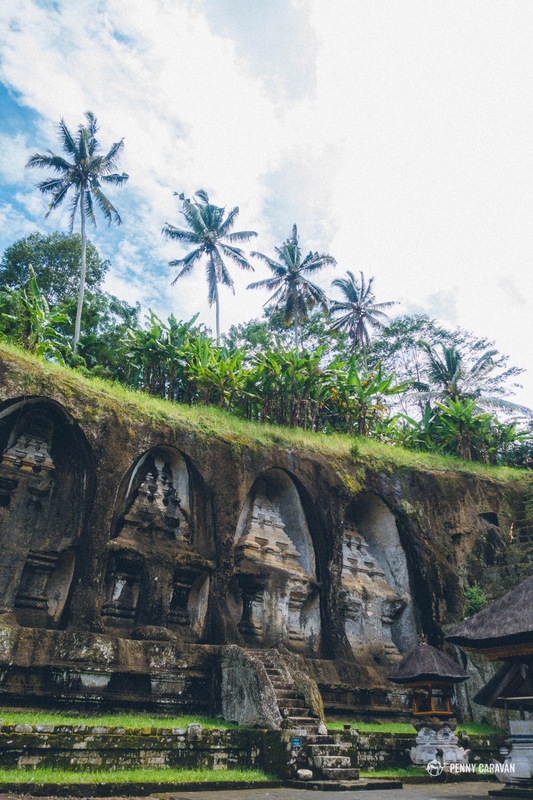 Religion is interwoven throughout the fabric of Bali, from small neighborhood shrines to centuries old sustainable irrigation channels serving both temples and farms. 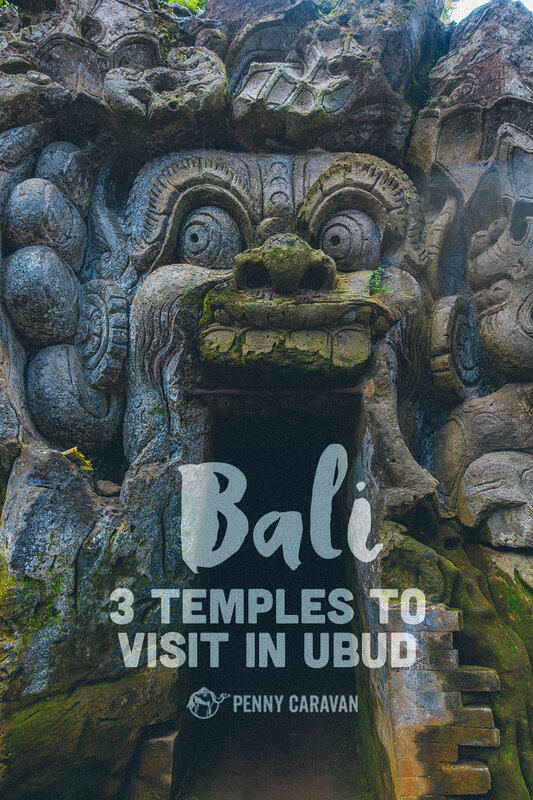 If you’re visiting Bali you simply have to carve out time to visit temples, and if you’re in the Ubud area, these are the three we recommend seeing. 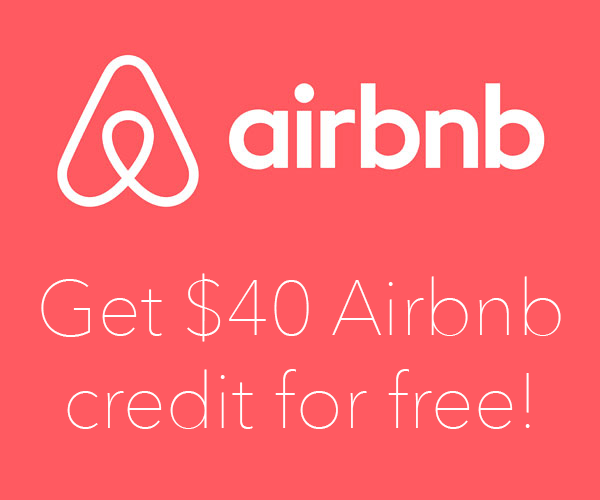 Renting a scooter is the best way to visit them, but if navigating Bali’s traffic seems intimidating, then hiring a driver for around 4-6 hours at the cost of about Rp 400,000 is the way to go. 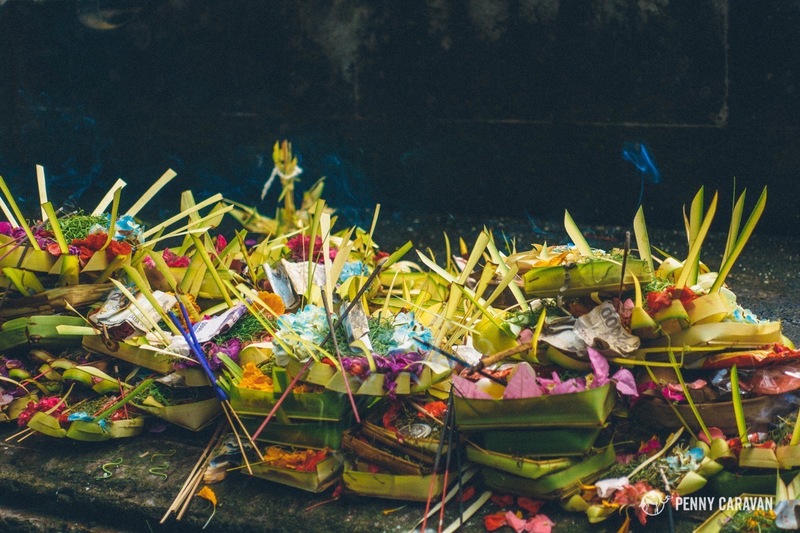 1) Though Bali is part of Indonesia which is 87% Muslim, Balinese are a religious minority who practice a unique form of Hinduism known as Balinese Hinduism. As with any religious site around the world—be respectful, be quiet, and don’t walk in front of someone who is praying. 2) You must be properly dressed with shoulders covered (no tanks) and you need to wear a sarong over your legs. A few times we were allowed to enter wearing long loose pants, but at some places we had to wear a sarong even over our pants. Every major temple will have sarongs available for you, so there’s really no need to buy one and carry it around with you, unless you really want one as a souvenir or if you wish to bathe at the water temple (you can’t get the temple sarong wet). They are typically free of charge with a suggested donation of around Rp 5,000 (less than 50 cents USD). 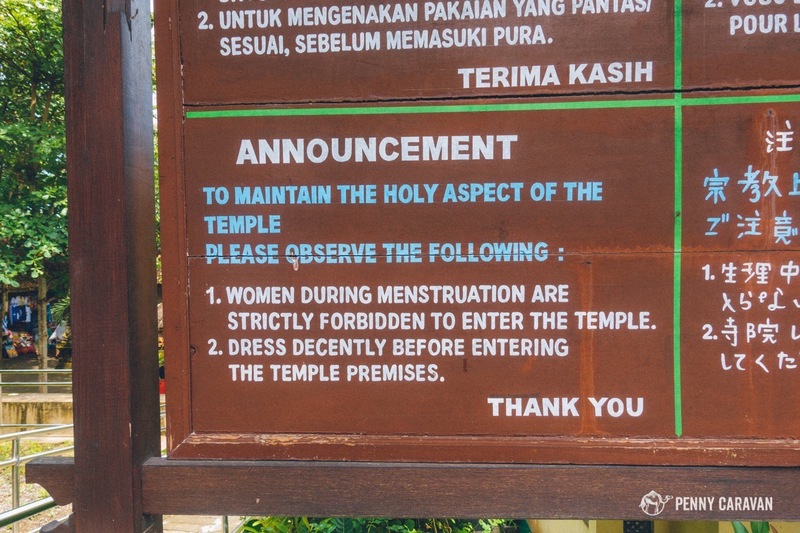 You’ll also notice signs posted at the entrance of most major temples that menstruating women are not allowed to enter. Honor system-based, I guess! Offerings piled high at a temple. 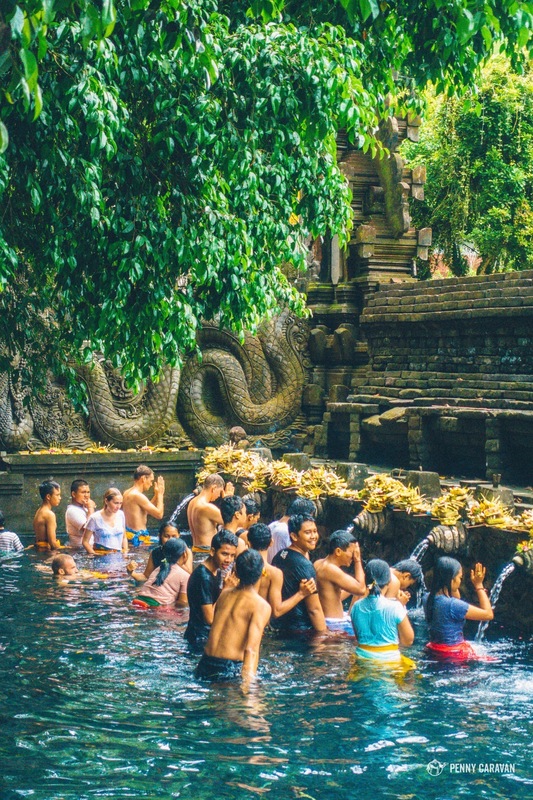 Tirta Empul is one of Bali’s most famous water temples, built around a natural spring in 926AD. 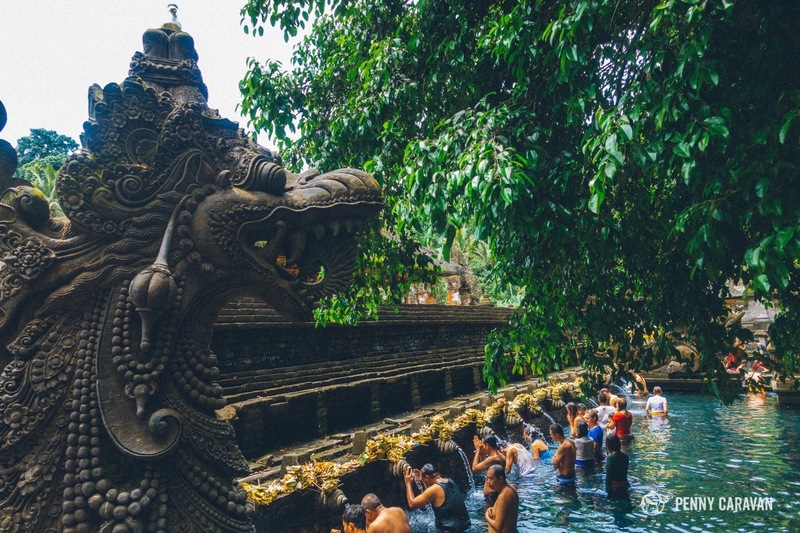 Balinese visit this temple to bathe in the pools of healing water, queuing on the left side and washing underneath each of the 30 spouts until reaching the end of the second pool. 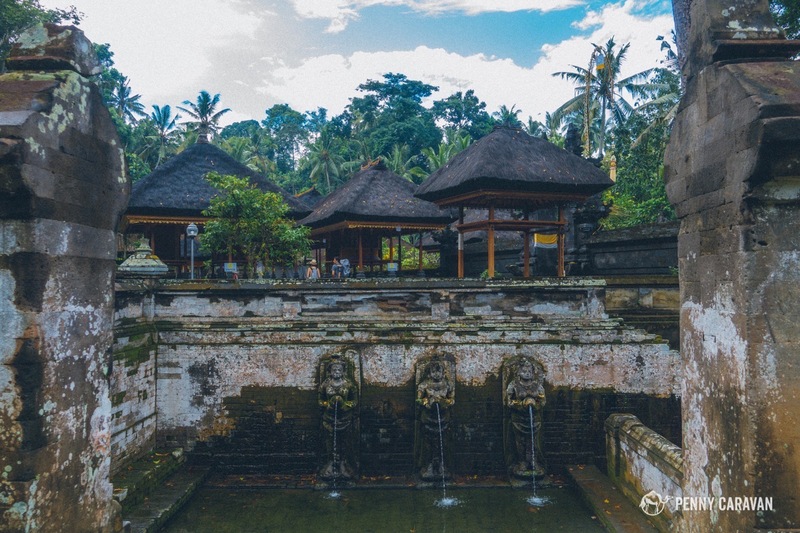 As with all Balinese temples, there will be a few different courtyards, so after visiting the pools don’t forget to keep wandering around to find the courtyard built around the natural spring which is the source of the water. As you exit, there will be another courtyard with a large koi pond. Sarongs are available at the ticket office, but if you intend to bathe, you need to bring your own sarong to get wet. It was also at this temple that I was instructed to put my hair up to enter the inner courtyard. No loose hanging hair allowed. 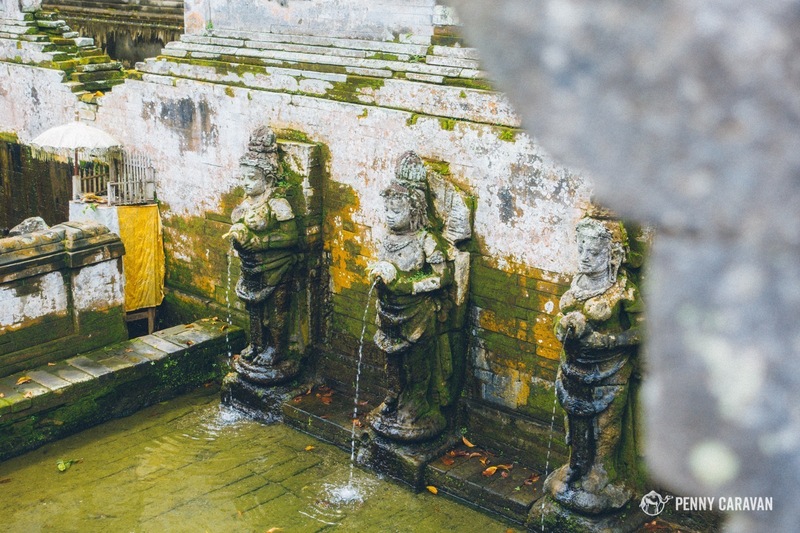 The entrance to Tirta Empul. 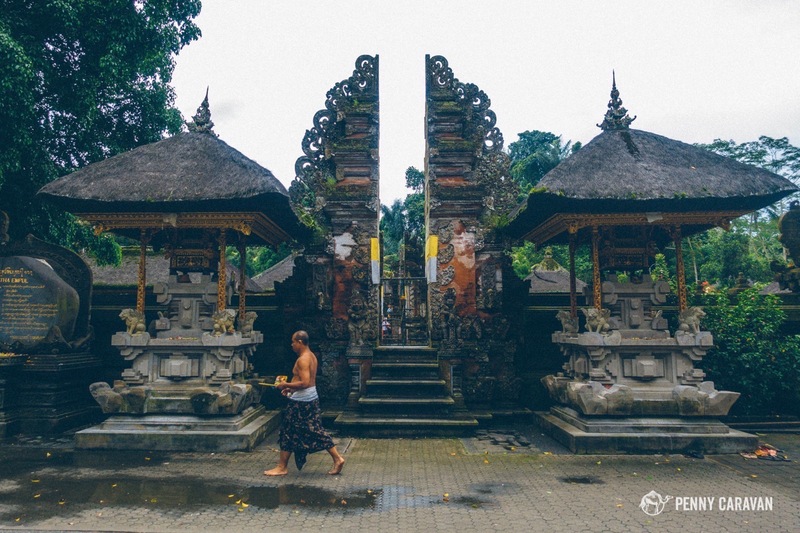 You’ll see these split gates in every temple, called candi bentar. 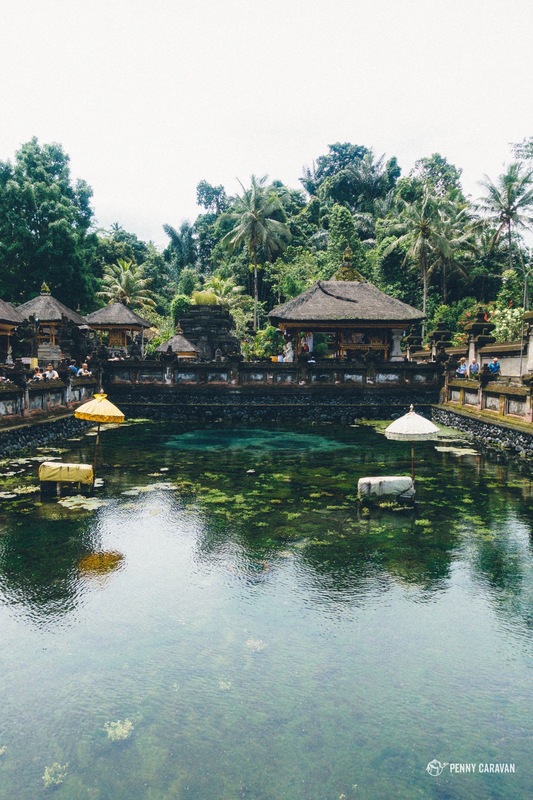 The pools at Tirta Empul. Visitors are allowed to enter the pools alongside locals. You’ll see dozens of statues at every temple. The bright blue at the far end is the natural spring. 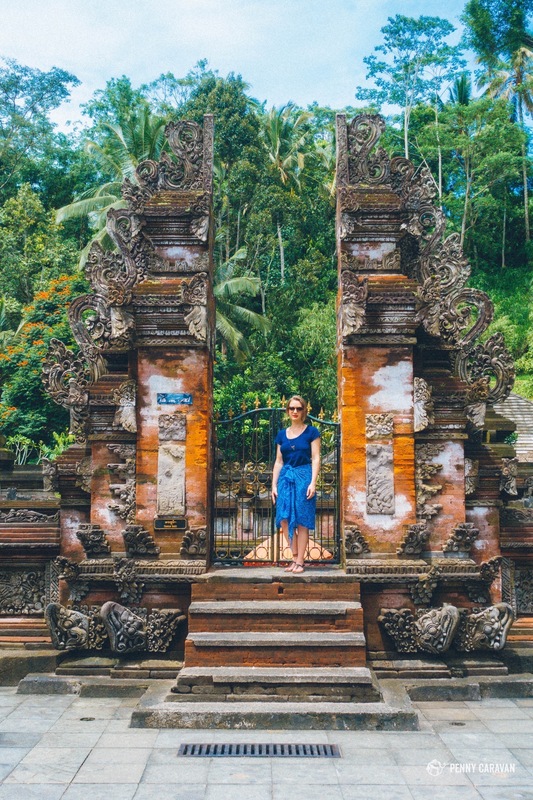 Beautiful doors at Tirta Empul. 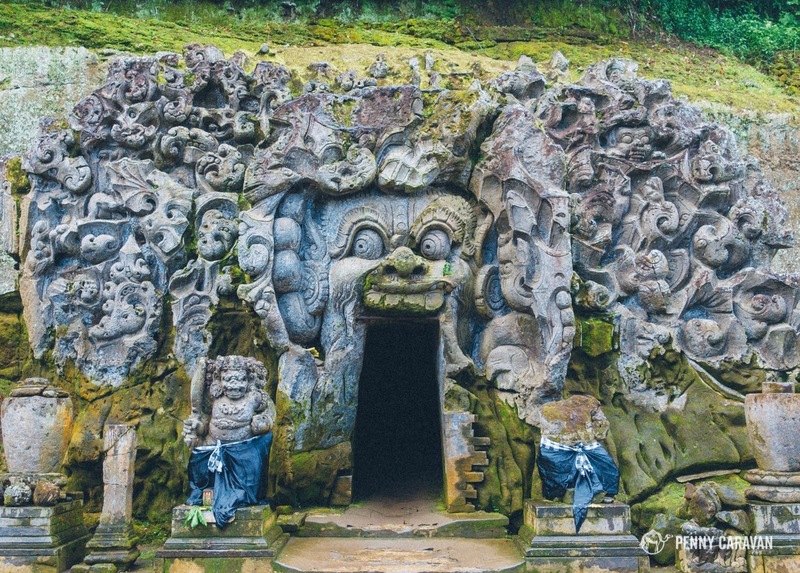 This 10th century temple is known as the Elephant Cave, with an intimidating carved entrance meant to ward off evil spirits. 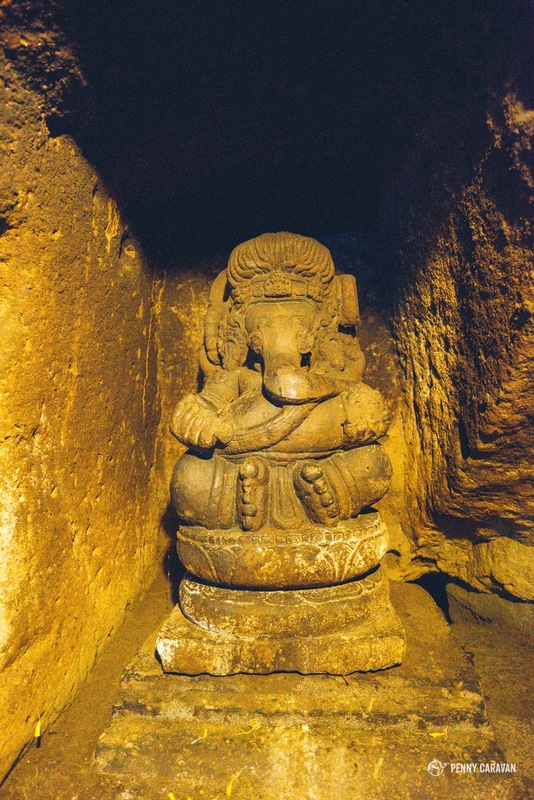 The carved display entrance is obviously the main attraction here, and the cave itself is quite small, holding a statue of the Hindu god Ganesha (whose head is that of an elephant). Also located on the site are some water pools, which were only recently excavated in the 1950s. 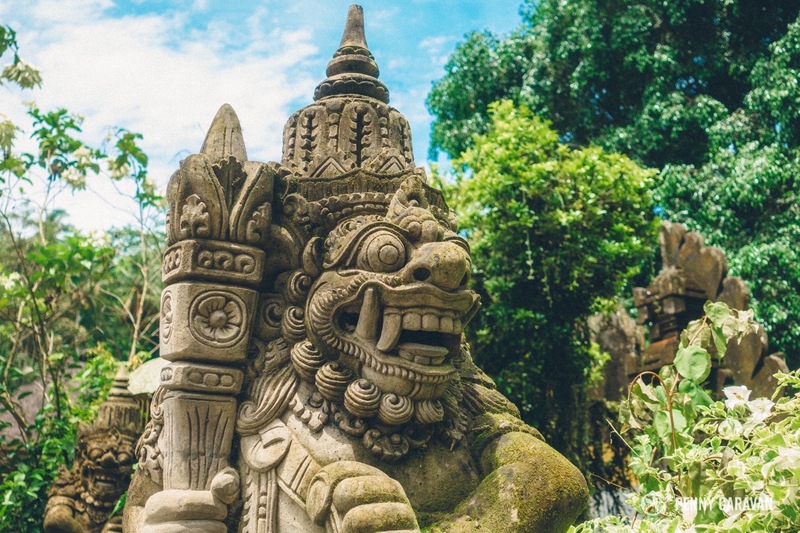 Be sure to also continue around the complex to a lily pond, a waterfall with some carved megalith stones that seem to have been unfinished, and the remains of an 8th century Buddhist temple. 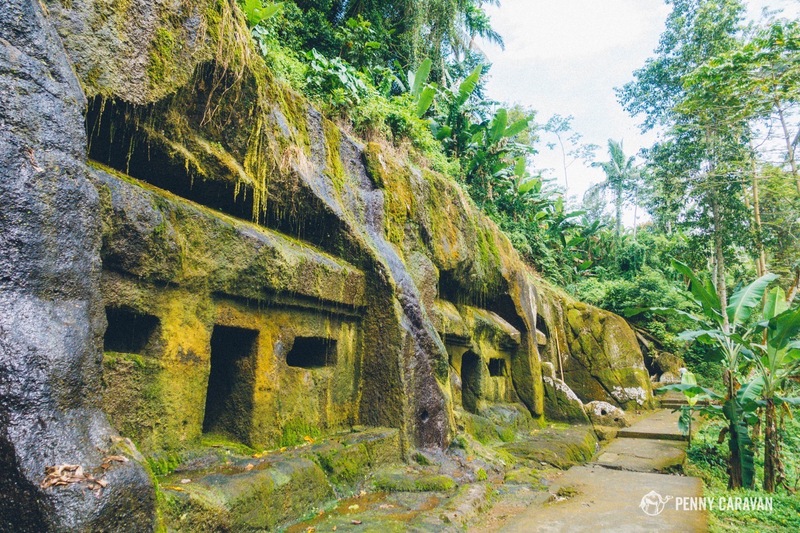 Cave entrance at Goa Gajah. 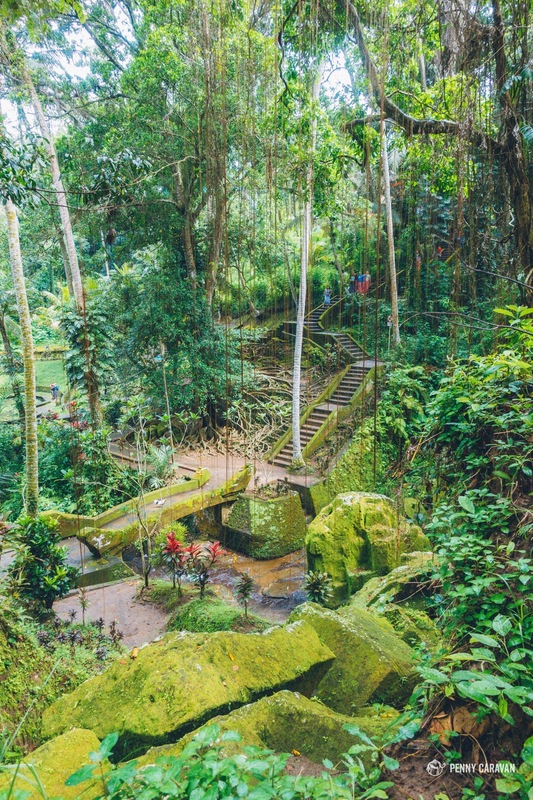 Lots to explore on the beautiful grounds at Goa Gajah. 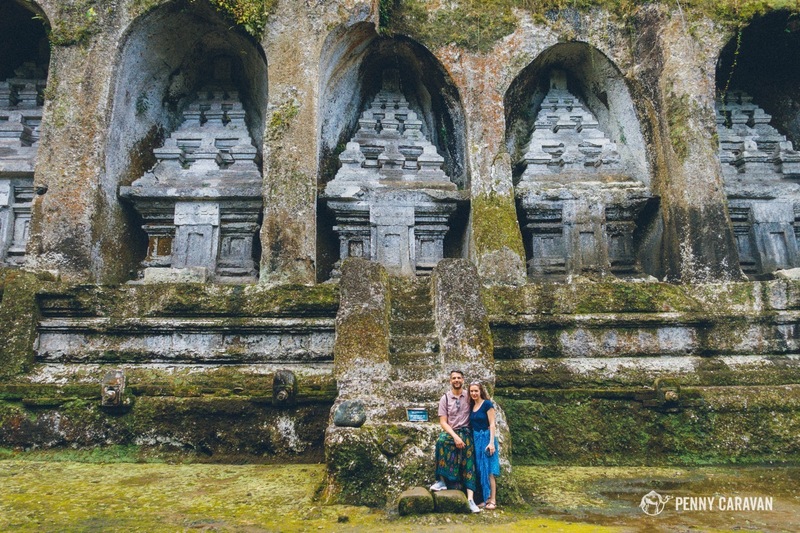 This is one of Bali’s most ancient sites, a temple and funerary complex with 10 impressive 8 meter high shrines cut into the cliff face. Mystery surrounds the site, but it is thought that the shrines are dedicated to each member of the royal family of King Udayana. The temple sits in a valley, about 200 steps down from the parking lot. 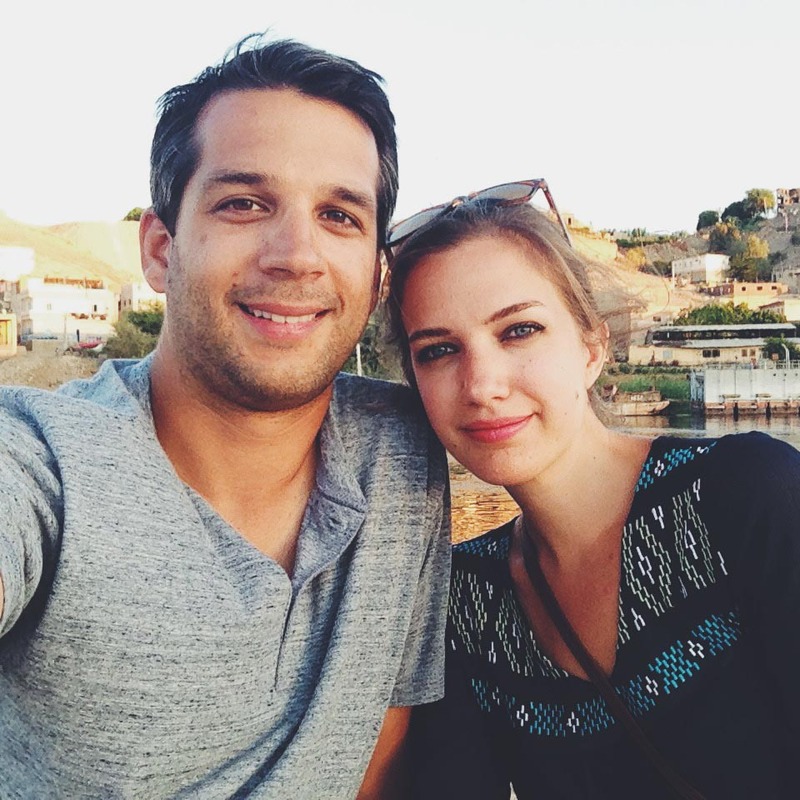 On the long walk down, you’ll pass beautiful terraced rice fields and rivers. After viewing the shrines, continue to the ancient temple complex on the opposite side of the river. Continue ascending up the staircase and you’ll find even more rock cut tombs and temples. 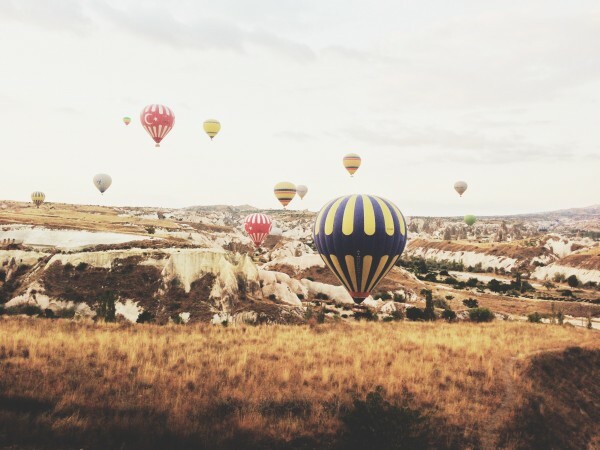 This site is quite a hike with lots of stairs, so be prepared with water and expect to spend a little more time here as the complex is spread out over a large area! Impressive facade at Gunung Kawi. Shane and I in front of the 8 meter shrines. Ancient temple and funerary complex on the site. More facades up the stairs. Plenty of rice field photo ops on the way back up to the parking lot! 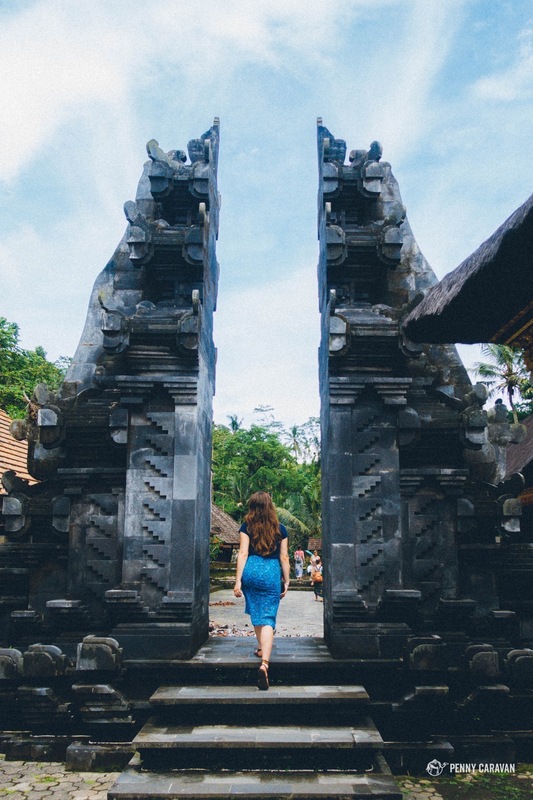 Ubud is full of fascinating places to experience the Balinese culture, and with religion playing such a huge part, a temple visit is a must! 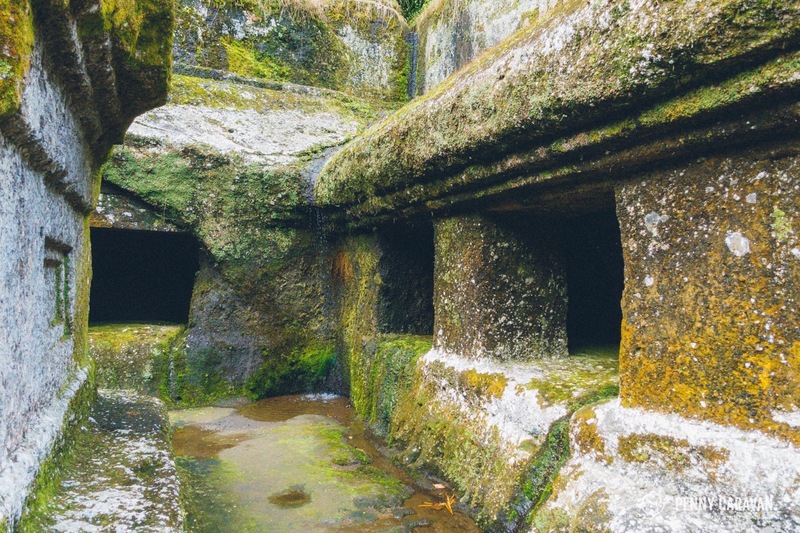 You won’t be disappointed with a day trip to these ancient temple complexes. 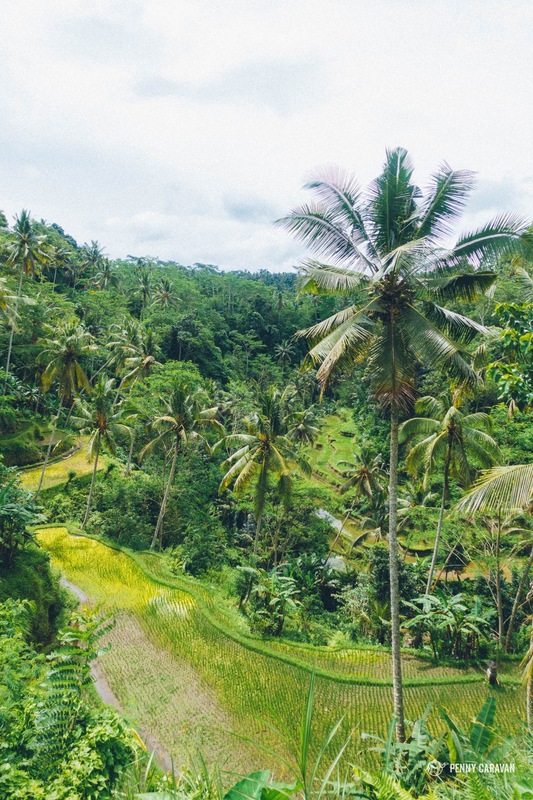 Hire a scooter or hire a driver, and enjoy a day trip visiting these unique places in the beautiful countryside surrounding Ubud!